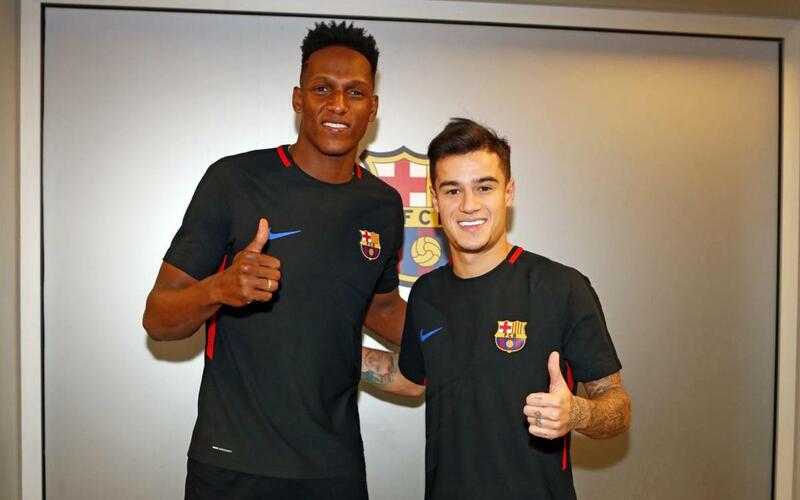 Yerry Mina and Philippe Coutinho are both a step closer to making their debuts for FC Barcelona. Both have been included in Ernesto Valverde’s squad for Thursday’s Copa del Rey quarter final second leg against Espanyol. The Colombian has been picked after training for the last few days with his new team-mates, while the Brazilian has been declared recovered from the injury that has prevented him from playing since joining the club from Liverpool. That’s not the only good news. Andrés Iniesta and Paco Alcácer are both fully fit and have been included in the list of names that will be looking to turn around the 1-0 deficit from the first leg. Thomas Vermaelen and Ousmane Dembélé are still battling to regain fitness, while the coach has opted to leave out the names of both Gerard Deulofeu and Denis Suárez. The full list is therefore as follows: Ter Stegen, Cillessen, Semedo, Piqué, Rakitic, Sergio Busquets, Iniesta, Luis Suárez, Messi, Coutinho, Paulinho, Paco Alcácer, Jordi Alba, Digne, Roberto, André Gomes, Aleix Vidal, Umtiti and Yerry Mina. The announcement was made moments after the team had completed their Wednesday evening workout. The session, which also included Carles Aleñá of Barça B and Iñaki Peña of the U19 team, started with hearty applause for Luis Suárez, who is celebrating his 31st birthday today.